News | AX superstar Akino Kondoh speaks in New York tomorrow! Manga scholar Ryan Holmberg has been a big help with our upcoming book Ax: A Collection of Alternative Manga -- he wrote the artist biographies printed in the back of the book. 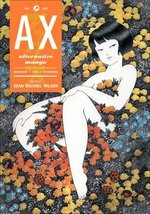 He's also the curator of an excellent new exhibit at New York's Center for Book Arts, called "Garo Manga: The First Decade, 1964-1973," showcasing the early years of legendary underground magazine Garo (an ancestor of Ax)! The exhibit runs through June 26, but tomorrow night (Wednesday, April 21) Ryan is holding an artist talk with contemporary underground manga-ka Akino Kondoh! 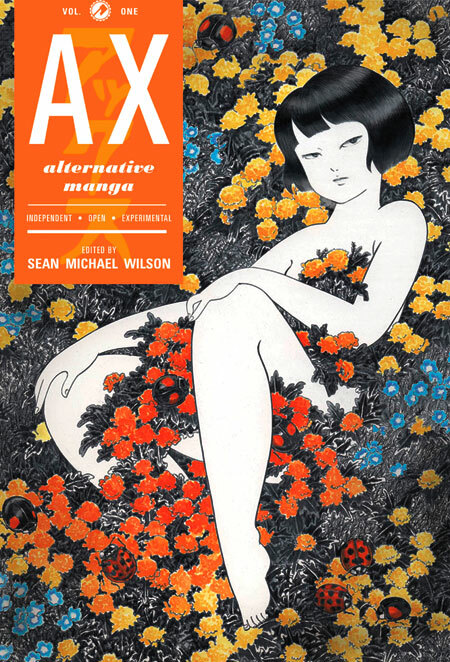 Ms. Kondoh is internationally known as a gallery artist, illustrator, and animator, but she'll also be prominently featured in our Ax book -- contributing two stories and the gorgeous cover! Anybody in the New York area should check this out, 6:30pm at the Center for Book Arts. 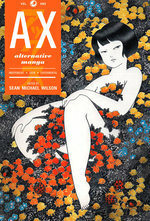 And stay tuned for more details on Ax, coming to you this summer!